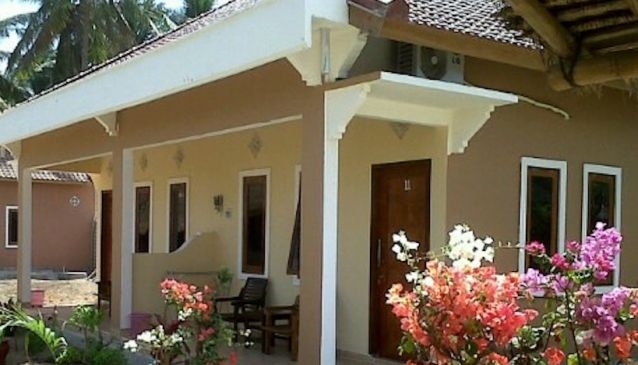 Kuta Bay Homestay is a cosy, family run enterprise with Indonesian/American ownership. They are conveniently located in the heart of Kuta, just next to the market, making all Kuta amenities right on hand. The rooms are divided into 4 categories ranging from simple, cheap and cheerful standard bamboo rooms to more private bungalows with AC and hot water facilities. Tours and transport can be arranged for all types of programmes all over the island, especially surfing possibilities. There is an emphasis on intergration with local life, in this type of accommodation and the owners encourage this familiarity, the guests always included in family activities at the homestay and visits to the large extended family a few kilometers away, for a real insight into Indonesian village life.